Ford have screwed up big-time, but based on recent rumours there may be hope for them – but at what cost? This week word has started to spread that Ford are going to build the New Ranger for the U.S. and Canada in 2018 – that’s 3 years before they START to build it. At best we can hope for a 2019 model in late 2018. In the meantime what is a person to do? A couple of years ago I was in the market for a new vehicle. It had to be cheap, brand new, or close to it, and it had to be utilitarian. My wife suggested a pickup truck like the Ford Ranger (she wanted one of them before she even got her driver’s license). As luck would have it Ford were blowing out the Ranger at that time, offering $8,500 off and other incentives to get rid of them. I didn’t really want a 2011 when the 2012 vehicles were already out – you know what that does to re-sale right? The problem – there wasn’t going to be a 2012 Ford Ranger! Before committing to the 2011 Ranger I checked out the competition. Even without the discount, all the other trucks in that category were way too expensive. Why would anyone pay $40,000+ for a ¾-sized truck when you can get a full-size one for $25,000?! Actually that was Ford’s thought exactly, so instead of maintaining the reasonable price of the Ranger, they just discontinued it and pushed everyone into the F-150. Clever….except now everyone is shopping the competition instead of buying Ford F-150’s. Why? Because size DOES matter. Like many people, I did not want or need a full-size truck. For me the Ranger is just the perfect size – it fits between the lines in the parking lot and most of the time – 99% of the time actually, I don’t need the truck bed. When I need a truck to haul mulch or dirt, or when I need to run to Home Depot for some lumber or drywall – do I need a full-size truck? When I need to take my lawn tractor in for repair or a quick run to the dump after doing some reno work around the house – do I need a bigger truck? NO! I do it with my Ranger and it’s effortless. Seriously? Did they honestly think that was a logical conclusion? 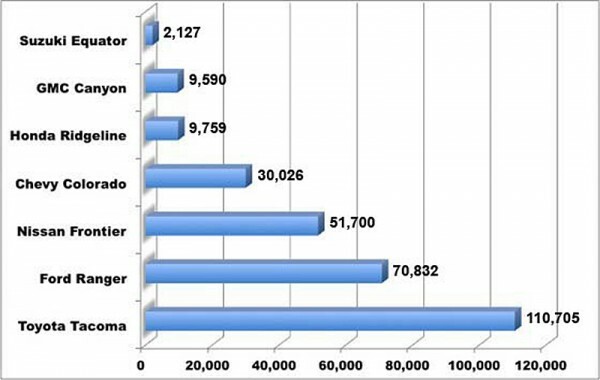 How many Rangers did they sell in 2011, the last year they were made? Would you believe almost 71,000? Selling 70,000 ancient pick-ups in one year is staggering…what would that number be if they had brought the new Ranger, that’s being sold around the world (since 2012) to the U.S. and Canada? Perhaps 100,000 or more at a minimum I’d guess. Remember, the Ranger was well over 20 years old and hadn’t had anything more than a basic cosmetic upgrade since around 1982! Where do you think those 70,000 sales went in 2012 and beyond? I’m guessing the vast majority went to GM, Nissan and Toyota – NOT Ford, and certainly not Focus or Fiesta. 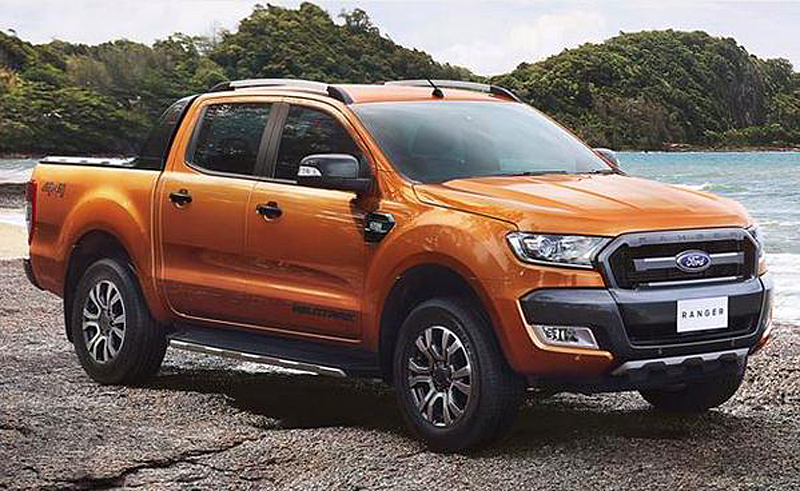 Ford should have immediately replaced the old Ranger with the All-New Ranger – what company in their right mind would just hand over that many sales to their competition? I can’t believe they honestly thought people would just gravitate to the F-150, never mind the Focus or Fiesta. They sell something like one new F-150 every 45 seconds or so in North America to the tune of around 945,000/yr – do they really need to roll-the-dice that they MIGHT add 70,000 to that number? There are several interesting choices out there in the mid-size pick-up category – some are easy to cast aside and others not so easy. Let’s start with the easy ones first. Toyota Tacoma. Ugly bluh…puke. 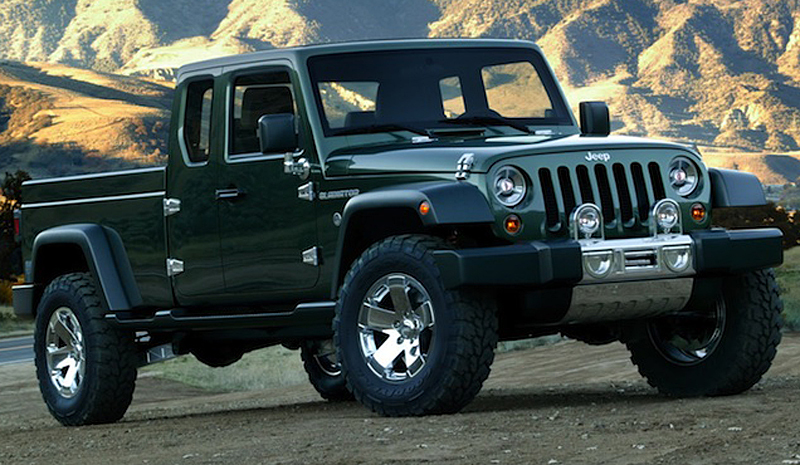 Sorry Toyota this has been well and truly beaten by the ugly stick – same goes for the 4Runner. I test drove one of the previous models a few years back – bare-bones, wind up windows, 4-cylinder engine and horrendous fuel mileage. Nope, not a chance. The Toyota Hilux, now that’s a different story. Nissan Frontier. Nice looking if you get the upper-end version but that’ll run into the mid-40’s in the dollar department. Nope can’t even think about this one. The bare-bones one – if you can find it, is not bad looking but still too much money. I’ve never owned a Nissan, and I’ve only ever driven the Z370, so I’m unsure about that aspect too. Honda Ridgeline. It’s a Honda – that wouldn’t put me off, but the size is a little bit bigger and the higher price tag would be something I’d be concerned about. Not the best looking truck from the front, but the truck bed and tailgate are genius. I’d have to put this in the yes category. Ram. Yep, Ram have decided to get back into the business of selling mid-size trucks. The Dakota was a great truck that got over-sized and bloated with luxury options, which in turn drove the price up, and guess what – people stopped buying it so it was discontinued due to sluggish sales – duh! It was a great truck and a great size. You had the choice of a V6 or a V8 and a number of different body and box configurations. There are still plenty of them on the road, so they must be somewhat dependable. 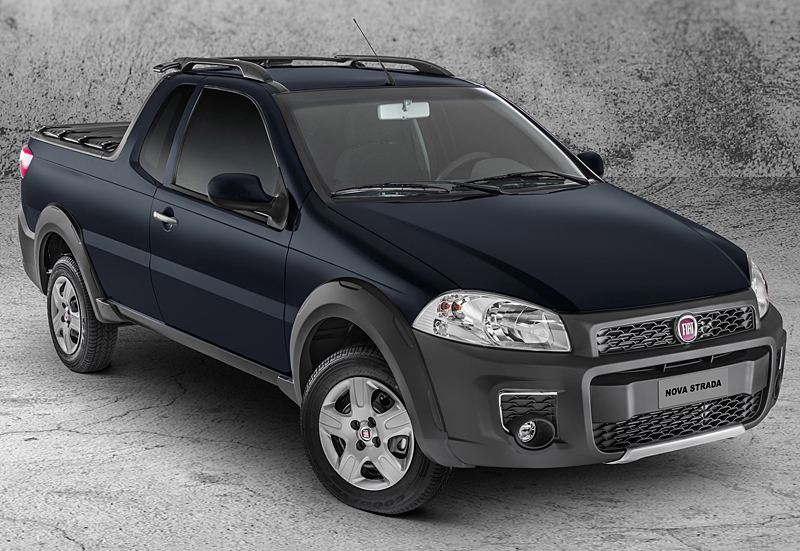 The new Rampage is different – it’s front wheel drive or 4×4 and it’s based on a Fiat Strada – which is very ugly. The front wheel drive might put a lot of people off, but again how much payload does the average person need? I’ll wait to see the numbers, but wouldn’t rule this out immediately. They are estimating in the $19-20,000 starting price. That’s got my attention!! 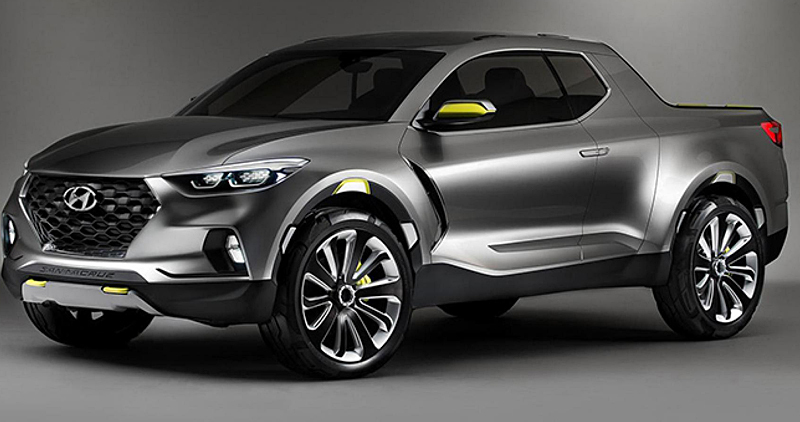 Hyundai Santa Cruz. Hyundai floated the possibility at numerous auto shows this past year and people are interested in this. It looks great and it’ll probably be reasonably-priced. With a 2-litre turbo diesel engine putting out 190hp and 300 lb.ft torque driving all four wheels through Hyundai’s ‘HTRAC’ all-wheel drive system… Not sure at this time if it will be put into production, but I’d be willing to wait to purchase this one! VW’s Amarok. We saw one of these in Germany last year and I really like it. Perfect size – looks great. Not sold on VW’s quality control in any of their vehicles though, so that could be an issue. VW want to be #1 in the world and this would go a long way to getting more sales in North America (it’s already being sold in Mexico). There’s a new second-gen model just around the corner (see picture), so maybe we’ll see this soon on our side of the Atlantic. Chevy Colorado (and its twin, the Canyon). Good looking trucks, but bigger again than the Ranger – just 2” narrower than the full-size 1500. It’s not really a mid-size truck is it? Let’s be honest, 5 years ago this WAS a full-size truck – that’s how much all trucks have grown in the past few years. 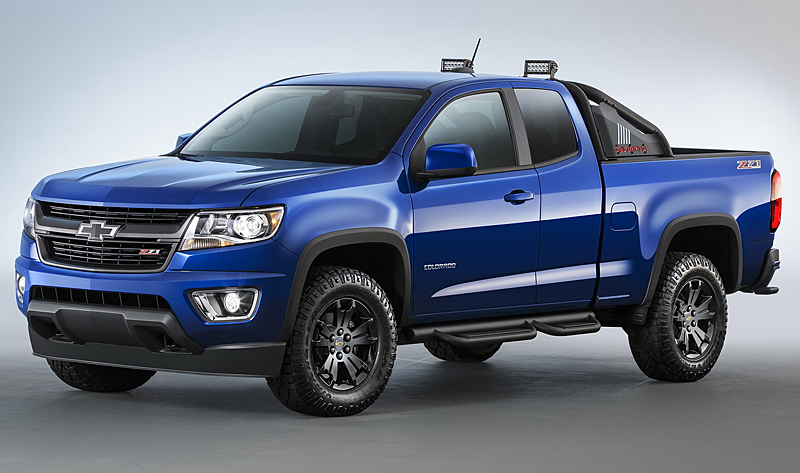 I’ve had a couple of Chevy’s and they have been absolute nightmares for breaking down – junk is the word I’d use – However I’d definitely give the Colorado a look at if I had to replace my Ranger. Available in the extended and crew cab bodies, 2WD or 4WD, and with the 2.5-litre, the 3.6-litre engines or the newly added 2.8-litre Duramax diesel engine – the options are plentiful. THAT’S what people want when they wish for a medium-sized pickup truck. Ford have it and it’s sold around the world – except the largest pick up market in the world – the U.S. and Canada!! That’s gotta be more than they sold Mercuries all together and maybe Lincolns. I can’t understand them letting this wither away. It would seem like a cash-cow, and if not at least it strategically keeps 70,000 people from buying Toyotas, or whatever. They probably have several models that they’d love to sell 55k of a year. Geeze, refresh the thing already and you’ll probably sell another 15 – 20k a year. You make 3 different badged versions of the Escape, Explorer, but you can’t update a basic small pick-up. Yea, a Ford Ranger might be used as a commuter vehicle most of the time, but the people that buy them do so because of the utility they offer. If they didn’t feel like they needed something with a bed, they wouldn’t buy it. Need a couple bags of mulch or a new dishwasher for your home? You can just throw them in the back of your Ranger and go. You aren’t doing that with a Fiesta. I’m sorry. Not only that, but the Ranger is a reasonable size vehicle for an average family. Not every family wants to drive a half-ton, especially modern half-tons, which are as big as a 3/4 ton truck now. 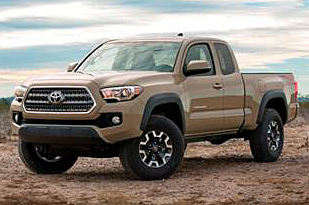 To hell with you Ford, my next vehicle will be a Toyota Tacoma. I won’t buy a model that’s going to get discontinued in favor of an oversized monster truck. It’s ridiculous for Ford to walk away from 70,000 Ranger sales in today’s market. That number could grow if they only brought out a new Ranger considering the existing one is over 20 years old. It’s even more ridiculous to suggest that a Ranger buyer will just switch to a Fiesta or Focus because they are a commuter. Totally different brand and self-image there. Bring the world Ranger here. Bring it with a highly-efficient turbo-4 and also a clean diesel and they’ll see 100,000 in sales easily. The Ranger was the truck least affected when sales were at their worst. Considering how old the design is, it is amazing that it still sells as well as it does. The idea that people who buy Rangers will just buy a Fiesta or Focus instead is completely ridiculous. How exactly is a small car supposed to substitute a small pickup? Dear Ford: As a Ranger owner, please understand my point; if I wanted a full size truck, I’d own one now. Replace the Ranger with an F150 and I’ll buy a Toyota. So there you have it Ford… people want the new Ranger here in North America. Why wouldn’t you want to sell 100,000 new trucks every year – even more, if its anywhere close to being as good as it looks! Every year, every month that passes – you’re giving your competition free sales that they don’t even have to work for… and how many jobs are NOT being created right here?